It seems like ages ago that i told you about my sewing project for christmas, but i couldn't show it to you then because, obviously, it was a present. My bag is aprox. 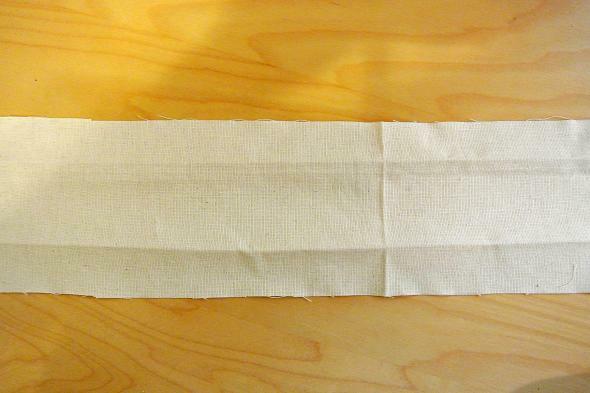 40/45 x 30/35 cm, use the fold as bottom and remember to hem your edges. ...and a turquoise fabric paint because it fitted with the "ribbon". I mixed it with white color to get the shades i wanted. Just press the potato into the paint and evenly (or not...) onto the fabric. Remember to pay attention to the instructions of your paint. I had to wait 24 hours for it to be completely dried, turn it inside out and iron over the paint to fix it. I also sewed something for my brother, but to be honest i was so stressed and frustrated, that i didn't take any pictures and it was not that easy as a tote bag, and it involved a lot of improvising, so maybe next time i do something similar. I hope you could follow this DIY and go out there and sew some bags!